Happy Friday and Welcome to August! How did we get to August already? Are vacations over? Is school starting again? Oh my! 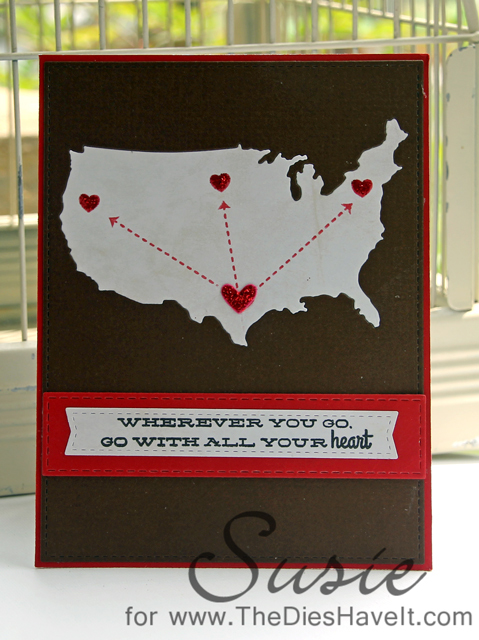 Just in case you get to go on a few more trips this summer, here is a card for you. This stamp and die set is from PaperTrey Ink. I fell in love with this idea the moment I saw it! Enjoy your trip...wherever you get to go!